Ephrat “Bounce” Asherie is a New York City-based b-girl, dancer, and choreographer and a 2016 Bessie Award Winner for Innovative Achievement in Dance. Asherie has received numerous awards to support her work including Dance Magazine's Inaugural Harkness Promise Award, the Jacob's Pillow Fellowship at the Tilles Center for the Performing Arts at LIU and a Jerome Foundation Travel and Study Grant. Last year she received a National Dance Project award to support the development and touring of her newest work, Odeon. Asherie is also recipient of a Mondo Cane! commission from Dixon Place, a Creative Development Residency from Jacob's Pillow, Workspace and Extended Life Residencies from the Lower Manhattan Cultural Council and two residencies through the CUNY Dance Initiative. Asherie is a regular guest artist with Dorrance Dance and has worked and collaborated with Doug Elkins, Rennie Harris, Bill Irwin, David Parsons, Gus Solomons Jr., and Buddha Stretch, among others. She earned her BA from Barnard College, Columbia University in Italian and her MFA from the University of Wisconsin-Milwaukee where she researched the vernacular jazz dance roots of contemporary street and club dances. Asherie has been on faculty at Wesleyan University and set pieces for students at Smith College, SUNY Brockport, Alvin Ailey Dance Center, University of Texas Rio Grande, Old Dominion University and teaches at Broadway Dance Center. Asherie is a co-founding member of the all-female house dance collective, MAWU and and is forever grateful to NYC’s underground dance community for inspiring her to pursue a life as an artist. Manon Bal is a versatile professional dancer born in Marseille, France. After 11 years of training, at La maison de Réjane diriged by Réjane Losno, Manon started her professional training at the Institut de Formation Professionelle de Danse Jazz Rick Odums in Paris. During her years of training in ballet, jazz and modern at the Institute, her close teachers and mentors included Rick Odums (former member of the Houston Ballet Company ; choreographer of National Broadway Touring of Guys and Dolls) , Geraldine Armstrong (former soloist of Paris Line ; director of Armstrong Jazz Ballet and Bruce Taylor (member of the Elisa Monte Dance Company and Agnes DeMille Heritage Dance Theatre). She performed as a soloist in Les Jeunes Ballet Jazz de Rick Odums (season 2013/2014 and 2014/2015), and was invited to assist Rick Odums in workshops (Tanzfestival Bielefeld 2015 and 2016) and auditions. After a rigorous audition process of hundreds of participants in Paris, Manon was accepted at the prestigious The Ailey School. She trained in The Independent Study Program for one year. Teena Marie Custer is an urban dance artist based in Pittsburgh, PA. She has won battles and awards in the underground street dance scene over the past 15 years, and has performed nationally and internationally with her crews, Venus Fly, as well as her local Pittsburgh crew, Get Down Gang. Her hip hop dance theater work has been presented at the Sadler's Wells Theater in London, The American Dance Festival, Kelly-Strayhorn and New Hazlett Theaters in Pittsburgh, Ford Amphitheater in LA, and the American College Dance Festival Gala Concerts across the country. She has created hip hop dance theater works for over 25 university dance departments around the U.S., and in addition to touring her solo show, “My Good Side,” she also dances with Bessie award winning Ephrat Asherie Dance in NYC as well as Bill “Crutchmaster” Shannon. Teena is on faculty at Slippery Rock University and the American Dance Festival, and has an M.F.A. in Contemporary Dance Performance from The Ohio State University. and Pace University’s Commercial Dance BFA Program. Originally from Nigeria and known for her fluidity, her strength and her sensual musicality, Linda “LaNaija” Madueme has developed a unique movement style that blends house dance as well as African and contemporary dance styles. Linda draws a huge amount of inspiration from the work of Ronald K. Brown, and her current training includes afro-Cuban, salsa, and tango. In the past she has received training from notable choreographers Funmilayo Chesney, Courtney Ffrench, Aleta Hayes, Adia Whitaker, Dyane Harvey-Salaam, Bill T. Jones, Camille A. Brown, Shani Collins and Juel Lane. Appearing in music videos and documentaries, she has worked with house music artists such as Grammy award-winning producer Little Louie Vega, Mr. V, Barbara Tucker and Wunmi, and has been blessed to work with and perform on the same stage with dance pioneers like Archie Burnett, Javier Ninja, Future Ninja, the late Marjory Smarth, Caleaf Sellars, Sekou, Michael “U4RIA” Clarke, Tone McGregor and James “Cricket” Colter. Linda has won several competitions, and both taught and judged at international events in New York, Houston, Amsterdam, Tokyo, Rome, Sorrento, and Playa Del Carmen. Linda graduated from Princeton University with a BA in Anthropology and is a co-founder and active member of MAWU. Born in Senegal West Africa, Ousmane started training in the traditional West African dance styles of Djembe, Kutiro and Sabar at the age of seven. Until the age of sixteen, he performed with his family’s dance company, The Maimouna Keita School of African Dance. Growing up in a family of dancers and musicians, his drive to discover different styles of music and dance was infinite. In his later teenage year, Ousmane discovered his love for house, hip hop and vogue and soon became a part of the legendary House of Mizrahi and was deemed Omari Mizrahi. Now Emperor of the House of Mizrahi, Omari is an internationally celebrated and sought after performer, choreographer and teacher. He has worked with many artists including Jidenna, Raashad Newsome and Wummi. Omari was featured as one of Dance Magazine’s 25 to Watch in 2017. Omari is on faculty at Broadway Dancer Center and teaches at Peridance Capezio Dance Center and the Maimouna Keita School of African Dance. Matthew “Megawatt” West started dancing at the age of 16 in Queens, New York. Growing up, his fascination with animals was undeniable and directly influenced his smooth, fluid, and animal like movement style. Although the majority of Mega Watts' training is in bboying, he is also an avid listener of house music and a dedicated student of the dance style itself. He has attended numerous practice sessions held by renowned NYC house dancers, Conrad Rochester, James “Cricket" Colter and the Ladies of Mawu. Mega Watts is an active part of NYC's house dance community and teaches youth classes throughout the five boroughs. He can be seen in Baz Lurhman’s recent Netflix series The Get Down and performing and battling with his crew, the Mellow Animals. 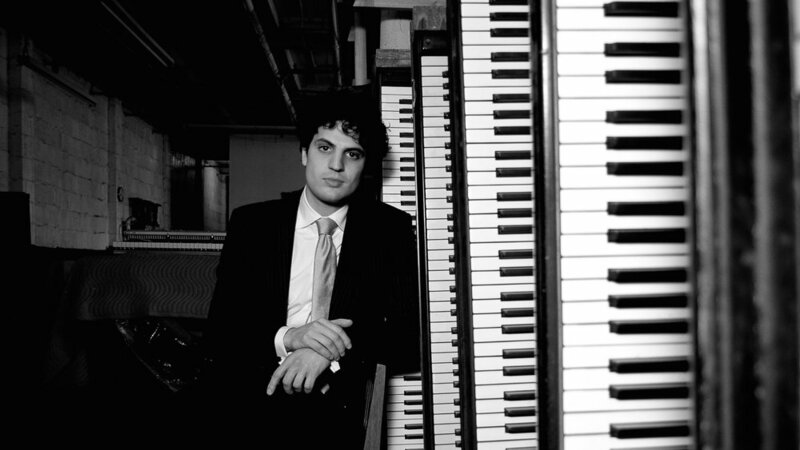 Ehud Asherie, “a master of swing and stride" (The New Yorker), is a jazz pianist who integrates the venerable New York piano tradition into his inventive style. Born in Israel in 1979, Asherie lived in Italy for six years before his family moved to New York. Though he began playing piano as a child, his passion for jazz came later—with a Thelonious Monk cassette tape—and his first visit to Smalls Jazz club in Greenwich Village. Largely self-taught, or rather, “old-schooled,” Asherie learned the ropes at Smalls, spending the wee small hours of his early teens becoming a fixture of the late-night jam sessions. Mentored by the late Frank Hewitt, Asherie began to develop “his virtuosity and his ear for clean, crisp lines“ (The Star-Ledger). From Smalls to the Rainbow Room, from Lincoln Center to The Village Vanguard, Asherie has since worked with a broad range of musicians including: Eric Alexander, Roy Ayers, Peter Bernstein, Jesse Davis, Bobby Durham, Vince Giordano, Wycliffe Gordon, Scott Hamilton, Catherine Russell, Ken Peplowski and Clark Terry. Beyond his dedication to jazz music, Ehud Asherie has also developed a passion for traditional Brazilian music. His appreciation and profound knowledge of the music, language and culture are the foundation of Asherie’s project entitled Bina & Ehud, a duo formed in 2003, with Brazilian guitarist, Bina Coquet. Asherie has toured clubs and festivals around the world, including South America, Europe and Asia. Asherie’s playing can be heard on countless recordings, including the 2010 Grammy Award winning soundtrack of HBO’s ‘Boardwalk Empire’. He recently released his twelfth album as leader entitled Shuffle Along (Blue Heron Records), a solo piano performance of Eubie Blake songs from the musical Shuffle Along. Eduardo Belo is a Brazilian bass player and composer. Belo has worked with renowned musicians including Ari Hoenig, Chico Pinheiro, Duduka Da Fonseca, Helio Alves, Claudio Roditi, Kevin Hays, Gabriel Grossi, Koran Agan, and Mario Adnet, among others. Belo earned his B.A. in Music at the Universidade de Brasília, and his M.M. in Jazz Studies from the Queen’s College of New York. Chris Haney was born in Xenia, Ohio. He has been living in New York City since 2002. Chris holds a Bachelors of Music from The Ohio State University, and a Masters of Music from SUNY Purchase. He has performed throughout the United States, Europe, South America, and the Caribbean. Chris has recorded or performed with Brad Leali, Greg Tardy, Wessell Anderson, Bobby Porcelli, Joe Magnarelli, Ray Vega and many others. He can be seen performing regularly at jazz clubs such as Smalls, Fat Cat, and Mezzrow in New York City. Drummer Brandon Lee Lewis has performed internationally with artists such as Gil Coggins, Harry Whitaker, Frank Wess, George Mraz, Kenny Garrett, Myron Walden, Azar Lawrence, Lezlie Harrison, Saul Rubin, Avi Rothbard, Anthony Wonsey, David Weiss, Billy Harper, Reggie Workman and Charles Tolliver, among others. He's also performed on Award-Winning Broadway productions The Color Purple and Memphis and the feature film American Gangster. In addition to impeccable sideman work, he hosts a weekly Sunday night jam session, inherited from ;the great Harry Whitaker. Sundays have evolved into a community hang where Brandon's developed a band sound as a vehicle for his compositions, an offering known as the Program of Deprogramming, which features longstanding bandmates Lawrence Clark, Stacy Dillard, and Renée Cruz, in addition to a bevy of special guests. Trumpeter, Bruce Harris, was born and raised in the Bronx. His love of music rose out of the storied New York late night clubs and the musicians who once called it home. With his undeniable passion and youthful energy, Bruce has had the pleasure to share his music on various platforms including appearances on national TV for the Late Show with Stephen Colbert and The Tonight Show with Jimmy Fallon. In addition, Bruce and has had the privilege to play alongside some of the greatest talents of this generation, Harry Connick Jr. The Count Basie Orchestra, Barry Harris, and various international tours as a leader. In addition, Wynton Marsalis identified Bruce has one of the great up and coming talents of our time. Most recently Bruce had the delight to play as a featured musician for the Tony Nominated Broadway show, "Shuffle Along" starring Audra McDonald. Sergio Krakowski has dedicated his whole life to the Pandeiro, also known as the Brazilian Tambourine—the symbol of Brazilian music and culture. Throughout his 20-year career, Krakowski has worked with artists including Maria Bethânia, Gonzalo Rubalcaba, Lionel Loueke, and Donny McCaslin, among others. Krakowski’s musical statement can be found in his latest album Passaros - The Foundation of the Island, released in June 2016. Krakowski recently earned a Ph.D. in Computer Music. Krakowski’s electronic music project called Talking Drums has been commissioned by the NY State Council of the Arts and presented The Guggenheim Museum of Bilbao, Le Poisson Rouge, Oi Futuro, and at the Museum of Moving Image. Ranjan Ramchandani experienced contact with Brazilian music for the first time through study of Rio’s Carnaval samba. Ramchandani then began serious study of traditional samba, choro, and the gamut of Brazilian percussion. Ramchandani has shared the stage with leading lights of contemporary Brazilian music, including Moyseis Marques, Rogério Souza, and Nailor Proveta. Ramchandani leads his own choro group in New York. Mark Eric is a native of the San Francisco Bay Area and currently resides in New York City, designing and constructing costumes. In addition to freelance costume design, Eric serves as the Costume Coordinator for the Ailey School, the professional school of the Alvin Ailey American Dance Theater. Eric trained as a fashion designer at the Fashion Institute of Technology, where Eric won the Critics’ Choice award among his graduating class. After interning with Marchesa and Adain Mattox, Eric started designing eveningwear for several brands including Monique Lhuillier and Adrianna Papell before discovering his passion for costume design. Eric has designed costumes for Darrell Grand Moultrie, Robert Battle, Stefanie Batten Bland, Carolyn Dorfman, and Ray Mercer, among others. Eric is excited to be sharing his creations with Ephrat Asherie Dance for the first time this season. In addition to dance costumes, Eric also enjoys designing conceptual costumes, couture bridal, evening wear, and drag fashions. Kathy Kaufmann is a two-time Bessie award recipient and a New York City native. Kaufmann was also nominated for a 2015 Bessie for Rebecca Davis’s Bloowst Windku. Kaufmann has been a resident designer at the Danspace Project at St. Marks Church for over 15 years and has toured extensively throughout the world. Kaufmann was honored to be included in Curtain Call: Celebrating 100 Years of Women in Design at the New York Performing Arts Library and currently teaches lighting design at Sarah Lawrence College. Kaufmann regularly works with artists including Michelle Dorrance, Joanna Kotze, David Parker, Eiko & Koma, Rebecca Stenn, Moriah Evans, and Mina Nishamura. Kaufmann’s recent projects include designs for Jonathan Gonzalez, Morgan Bassichis, Mariana Valencia, Jasmine Hearn, and Tatyana Tenenbaum.